Investment Account Manager Professional has been developed with a professional audience in mind, including family offices, independent investment advisors, accounting firms, law firms, foundations and other sophisticated investors to provide a comprehensive, desktop-based portfolio management software solution. "Investment Account Manager Professional is user friendly and easy to manage. Ability to handle numerous client accounts with relative ease. Software allows you to have total control from downloading account activity, to maintaining accounts and generating reports." "Investment Account Manager Professional is an amazing tool to customize portfolio allocations. I can create new models with ease to fit each of my client's unique financial needs." "Investment Account Manager Professional has been a great tool to help us manage our various investment portfolios. It's very user friendly. For those few times I've run into difficulty, technical support has been great. The reports are invaluable to our finance committee. We've been a customer for many years and will be for many more." 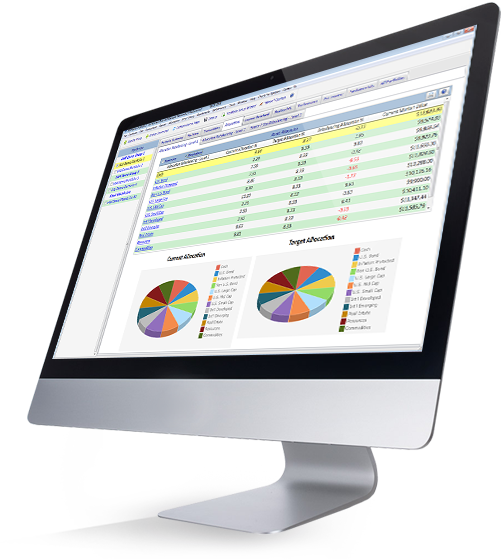 "Investment Account Manager Professional is the best software available! And I tried a handful of them. User friendly and the support staff is outstanding. Gets the job done with ease of effort..."